Small businesses that once serviced niche audiences are now just a few clicks away from customers all over the globe. This makes it much more difficult for marketers to nail down who their exact audience is, especially when they are trying to formulate strategies to connect and engage. Filtering your audience is the first step in understanding your customers. But, you need to take that information one step further. To discover who your customers are, what they want and how to reach them, you must understand how diversity affects audiences and what it means for your approach to content marketing. Here are four easy ways to help marketing teams learn about their customers on a deeper level to find the very best strategies for engagement. No matter how diverse your audience may be, one fact is true across the board: your audience likes visuals. Visual elements are processed by our brains thirty times faster than text, which is why they are essential for standing out in the crowd. If you include a picture, your audience doesn’t have to take the time to read the entire post to get the gist. This reduces the time for distractions and also provides them some instant interest that could result in a like, comment, or share. Using a mix of video and images in your content is generally the best way to attract engagement from all angles. While still images will always hold their value, video is without a doubt the preferred type of visual content, receiving 1200% more shares than posts with just pictures or text. Take a look at National Geographic’s Facebook page. While their image-based posts receive good engagement levels, posts with videos have tremendously higher numbers in terms of shares. Facebook algorithms will even reward video posts by placing them higher on the newsfeed for a wider reach. Online content that includes a picture or video is shared 40 times more than text-only posts. Simply put, visual content is the future of marketing. Failing to adjust your approach will bury you in the long run. If your audience is widely diverse, chances are, their social media habits will be too. Different demographics use social sites differently; therefore, your marketing efforts need to align with their preferences. While Facebook still leads the pack in terms of general usage (71 per cent of Americans have an account), other platforms such as Twitter and Instagram have been growing in popularity among younger consumers. The numbers also range based on the user’s demographic and ethnicity. For example, Latino and African-American users are more likely to use Instagram and Twitter, while Caucasian audiences prefer Pinterest and LinkedIn. In order to formulate the best strategies to reach these audiences, it is important to track metrics, engagement and responses from each platform. This type of monitoring goes a step past just likes and shares. Marketers need to pay attention to brand mentions and sentiment from all over the internet. For this purpose, a social media monitoring system that alerts you when people are talking about your business, brand or industry is critical. Cision® Social Media Monitoring is a Google Alerts alternative for social media (which also monitors blogs, traditional media outlets and much more) so no brand-related conversations are missed. Advanced marketers can get super specific with monitoring by incorporating filters and Boolean operators for ultra-customized reporting. Web monitoring is a necessity these days. Not only do these tools give marketers the ability to respond and create engagement, they also identify the channels that connect with their audiences the best. Influencer marketing is one of the most effective ways to reach your audience. According to a study conducted by Twitter, 40 per cent of social media users have purchased a product because of exposure through an influencer. This report also found that conversion rates were over five times stronger when customers learned about a brand through tweets from businesses and influencers alike. The key is finding the right personalities to partner with. Your marketing team must understand which influencers are able to reach different audience segments. Cision’s media database is the most comprehensive influencer and media database for communicators and is constantly updated. This tool helps you identify the influencers that will have the most impact based on your industry. In order to reach various pockets of your target audience, you may have to reach out to multiple influencers who are connected with these demographics. Glossier did an excellent job of this with their recent collaboration with hundreds of diverse influencers on social media. By connecting their content strategy to micro-influencers with an incredibly wide range of backgrounds, Glossier was able to increase their audience reach, resulting in a 600 per cent growth in revenue. People trust the opinions of influencers. Their words can open doors for marketers to reach audiences in a more organic and natural way. Of course, it is important that you find the ideal influencers to work with in order to reach the most relevant customers and make your efforts worthwhile. Take your time in conducting research here. Why should people share your content with their friends and followers? What is the human truth your post relates to? These are the types of questions that marketers need to ask themselves if they are looking to build engagement with a diverse audience. Marketers need to provide content that solves their audience’s problems and answers their questions. According to DemandGen’s Content Preferences Survey, audiences prefer posts that provide helpful information, such as how-to guides, tools, or helpful tips and tricks. Whether it is to tell an interesting story, provide information, or discuss a trending topic, each and every content piece must give your audience something that they are looking for. If you want people to share your content, you must give them a compelling reason to do so. Provide the answers to their most burning questions, share exciting brand stories from satisfied customers that your business has helped, or discuss hot topics in the industry. By giving your readers meaningful insights, they will be more likely to return the favor. While brands in the past may have been able to qualify their audiences into clear segments, the diverse audiences of today demand and prefer different things when it comes to content. To strike a chord with vast customer segments, marketers must know how to break down walls and appeal to everyone. Whether it be the type of content or the channel from where it is delivered, every part of your target audience must be understood in order to build engagement. Pratik Dholakiya is the Co-Founder of E2M, a full-service digital marketing agency and PRmention, a digital PR agency. He regularly speaks at various conferences about SEO, Content Marketing, Growth Hacking, Entrepreneurship and Digital PR. Pratik has spoken at NextBigWhat’s UnPluggd, IIT-Bombay, SMX Israel, and other major events across Asia. As a passionate marketer, he shares his thoughts and knowledge on publications like Search Engine Land, Entrepreneur Magazine, Fast Company, The Next Web and the Huffington Post to name a few. He has been named one of the top content marketing influencers by Onalytica three years in a row. 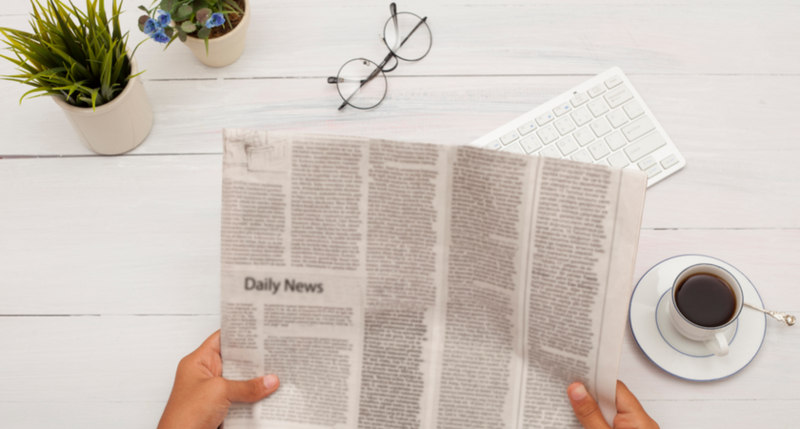 Check out these five ways to refresh the news release so that you can better achieve PR goals through distribution.